Being a mom and raising 2 young boys, I have a lot of things to be grateful for. But what does World Gratitude Day stand for? Why do we celebrate it? In my opinion, this day is to focus on the little and big things to be grateful for. When I go to sleep at night I lye awake in bed thinking about how much I love my boys and my family and how grateful I am for them, but I tend to miss out on the “little things”. So, it got me thinking, what are some other things that I am grateful for and why? The so-called little things count too and should be appreciated on a daily basis. In my household, we have a very busy schedule between my husband and I both working full time, 2 kids in school, 1 kid does therapy 6 days a week to help him function with his autism, and then we have everything else we need to squeeze in. At the end of the day, somehow, we all compose ourselves and laugh and smile at each other. I am thankful for the fact that we are able to do that, still, have fun with each and other and laugh at stupid things at the end of every very busy day. I am grateful for my job, my family, my positive outlook on life, my curly hair that fits my weird personality..haha. 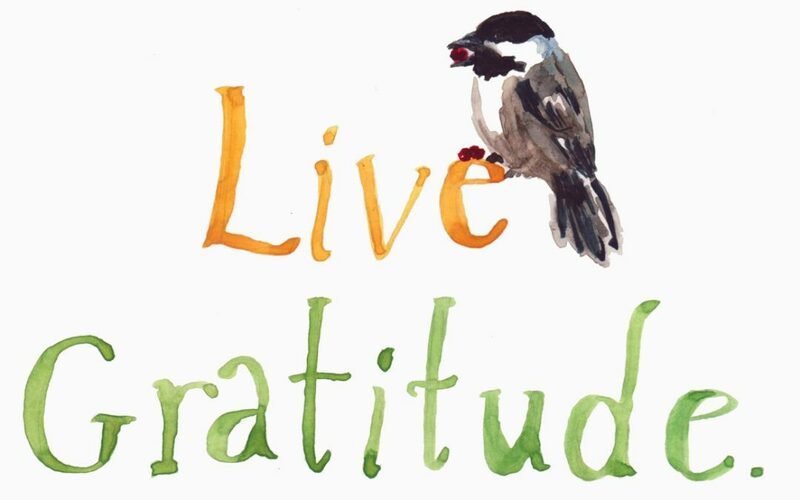 Look around your life and pay notice to the “little” things you can be grateful for.